The food is still safe to eat after this date but may have changed somewhat in taste or texture. 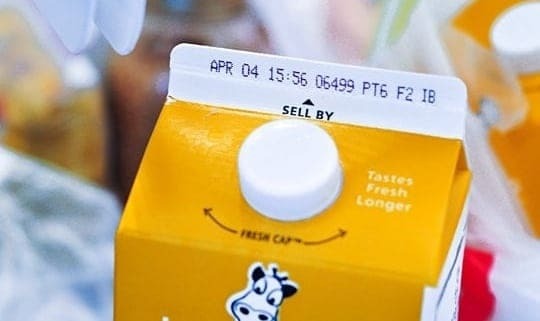 The “Sell By” date is usually found on highly perishable foods like meat, milk, and bread. This date guides store clerks who handle the rotation of shelf stock so they know which item to sell first. This date is determined to allow time for the product to be stored and used at home. The product is still safe and wholesome past this date if handled properly until spoilage is evident—when it looks more like a Science Fair project than tonight’s dinner. For example, milk will usually be good for at least a week beyond its “sell by” date if properly refrigerated. Meat that has arrived at its “sell by” date should be either consumed or frozen within 24 hours. “Expiration,” “Use By,” or “Use Before” are phrases that appear on yogurt, eggs and other foods that require refrigeration. Other dating terms are guidelines, but these mean what they say. If you haven’t used the product by this date, toss it out. “Guaranteed fresh.” This date is often used for perishable baked goods. Beyond this date, freshness is no longer guaranteed although the product may still be edible. 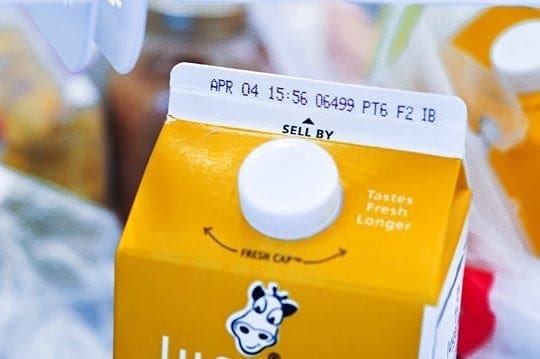 Some products bear a “pack date,” indicating when it was packaged, although this date is often encrypted so that only manufacturers, wholesalers, and retailers can read it. 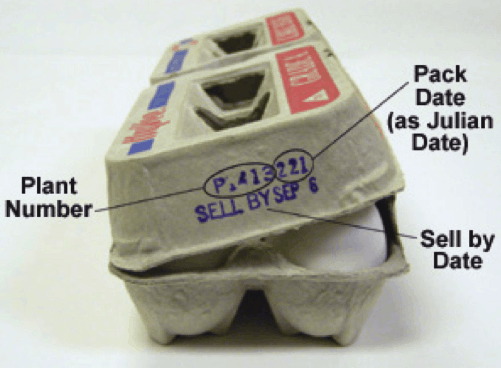 The pack date on some products, such as eggs, is shown by a Julian date (1 through 365). January 1 is number 1, and December 31 is number 365. In other coding, letters A through M (omitting the letter I) are often assigned to the months, with A being January and M being December, plus a numeric day, either preceded or followed by the numeric year. The point in all of this is that the fresher your food, the better it is. And for the most part, processors want to assure customers that their products will remain at peak quality for certain periods of time because they want to keep your business – and having a good reputation for freshness goes a long way toward making that happen. Tip: In a properly stocked store, the freshest items will be at the back of the shelf or underneath older items. 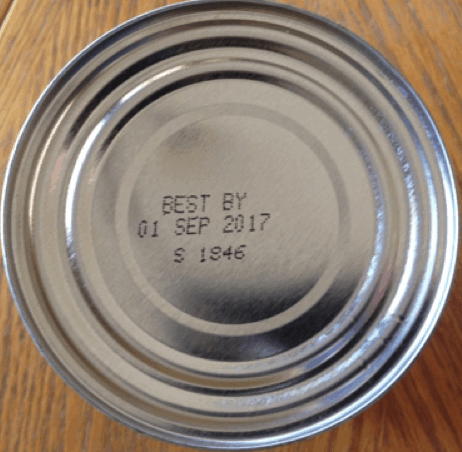 Question: Got a pet peeve or question when it comes to food product dating? Use the comments feature below to share with us! PREVIOUSLY: How to Remove Yellow Sweat Stains—It Really Works!